I've had some requests for a summer dress edit so here you are! I used to be a dress buyer so I'm always on the look out for a good dress and boy are there plenty around!! I always love sharing some of my fave finds with you guys so I hope you find these edits useful in tracking some lovely pieces down, saving you time surfing the net! All these styles would be perfect for sunny English days and also holiday time. Multistripes, colourblocking, 80's prints, linen, leopard print and bold colours stand out. It's the perfect time of year to be brave and get your legs and arms out! 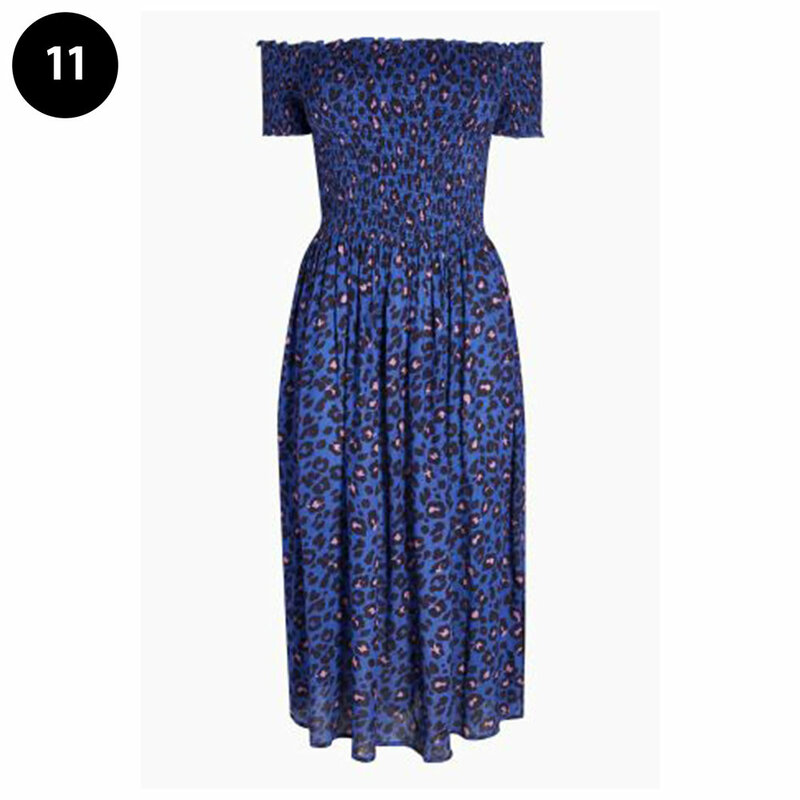 I'm a little obsessed with this dress and keep checking to see if it's in stock yet. (Available for pre-order at the moment) I just love the colours and easiness of it. Oliver Bonas are looking fab at the moment for womenswear!! This has a bow on the back and is in an easy shape, perfect for chucking on over a swimsuit on holiday. 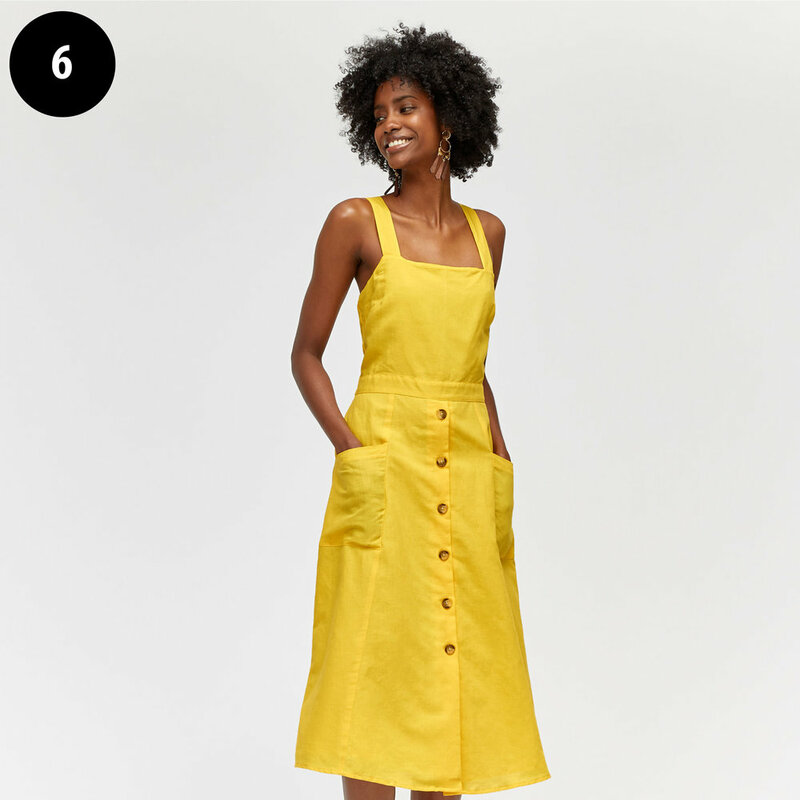 I've only recently discovered Arket and as soon as I saw this dress knew I had to have it! It is halter neck but actually feels supportive enough to wear without a bra. It's such a cool shape! Also come in plains I think. I have this and it is super comfy. It is quite oversized but the belt helps pull it all in. Apologies in advance if you love this - this was selling fast last time I looked!! I have this in khaki and it looks great with sandals or even over skinny jeans and trainers. A bargain and blue leopard - who'd have thought it would look so nice?! My rainbow stripe obsession continues!